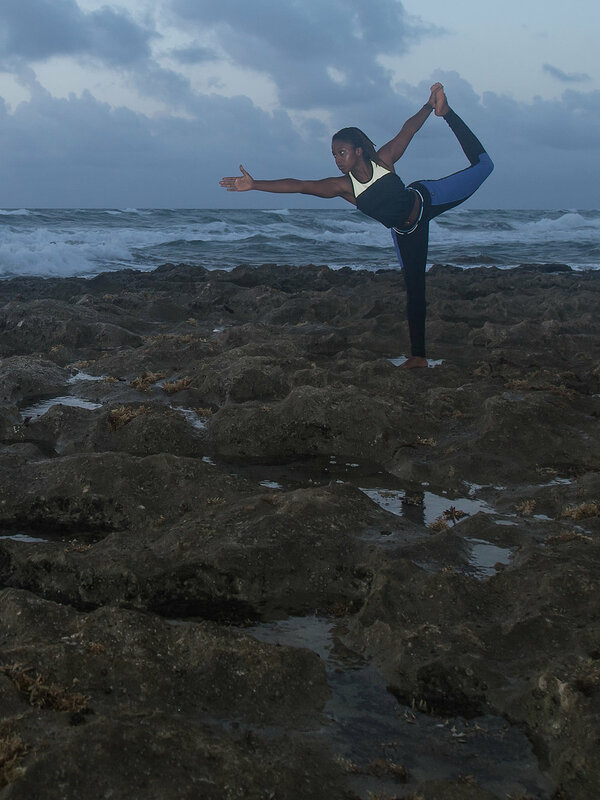 My yoga images don’t just show poses. They offer a window into who you are and who you are becoming. Maybe you searched for yoga photography because you’re tired of cell phone timer images that never fully capture what’s happening. Perhaps you don’t want your Instagram feed to be filled with grainy or dim images, when you know you deserve better. You want your followers or potential class attendees to see every facet of what you do - the stillness, the motion, and most importantly the things inside you that motivate you to share. These will shine through in your photos. Your images will also draw others’ notice. We’ll show your beautiful practice in a creative way that makes people stop scrolling, look again, and be inspired afresh by something they haven’t seen before. Or maybe you simply want images that honor where you are now, the place you’ve grown into, and keep the images privately tucked away to reflect on. Whatever the reason, let’s begin. a recently certified yoga instructor who wanted to create images for hew new website. She did not expect that her photoshoot would be so much fun (and that at the end of it she would be exhausted!) She absolutely loved the images we created and was very happy with them. a yogi with almost a decade of teaching experience who wanted photos as a visual tool for announcing her upcoming classes to existing and prospective students. She was surprised by how empowering it was to see herself in final photos and how many images we created for her online marketing. an enthusiastic yogini and dancer who wanted to motivate others by images of what the practice means to her. She was amazed by how many stunning images we created in just two hours of time. And she said her mom almost cried when she saw a timeless portrait of her daughter clad in silk golden sari, which was one of the photos from her photoshoot. Over the phone or in person, we get acquainted. I ask open-ended questions and listen to you describe what you’re looking for. I’ll learn about your priorities, your practice, what motivates you, and what you’d like the images for. We make sure any specific needs will be met. We also settle the date and time of your shoot, and select the best location. We meet at the location, laugh and chat a bit, and begin. After just a few minutes, you’ll find any initial jitters will dissipate. You are a much stronger presence than the camera, and pretty soon you’ll be so used to it being there that it’s just a background hum. You’re in your yoga, I’m delighting in your energy, and time passes faster than you thought possible. I’ll return home with a camera full of images that reflect you. Approximately one business week after your shoot, you’ll receive an instant download link for your digital files. They will be perfectly sized for the web sharing or printing needs we discussed, preserving flexibility for future use. Yoga photography is an all-inclusive package. A single fee covers our initial consult, your photoshoot, my travel to and from the location, and professional editing and delivery of your images. 20 images will be digitally delivered within 5 business days of your session. The total cost is $549. Add a three-minute video = $949. Maybe later, I need to wait until I can do [insert pose here] perfectly. We sometimes treat photographs as though they’re external declarations, feeling we have to wait until we reach some peak before we’re ready to show who we are. But photos aren’t fixed judgments, they are a part of the river of your life and experiences. Where you are is exactly where you should be. Even if you waited, there would always be another place to go from there. That’s a beautiful thing, not a bad one. You may never have experienced how having photos taken by an in-tune professional can change your course. When you see yourself through another’s eye, you become more confident, more gentle with yourself, more inspired by your abilities, more appreciative of what you are able to do. That experience is worth having now as it can itself alter where you go, and how you get there. I can do what I’m seeing in these images, but I’m not as flexible/advanced as that person is. It’s amazing how quickly our minds can make a race out of a journey, isn’t it? You probably know that your practice is entirely your own, that it grows from your experiences, your time, your body, your light, your personality. You will never look like anyone else and no one else will never look like you, no matter how long or much you work - and that’s exactly the way it should be. You may embrace this idea, yet feel this thought creeping in - I won’t look as good as _____. Yet, the images will show strength and beauty. The process of creating them will teach you things about yourself you probably didn’t know. The final images themselves will fill you with delight about where you are - and quietly give permission for others to celebrate where they are, too. Please don’t wait. I don’t want to do that pose I’m seeing in those images - will I be expected to do certain things? I don’t have time to do this right now. Sometimes taking on a task seems time-consuming because it’s unfamiliar, not because it actually takes up much of your time. Our work together is as simple as a conversation, choosing some clothing (which you do every day in just moments), arriving at a location, enjoying time with me (most people tell me the time flies and they are sad when it’s over). Then go about your life while I work on and then deliver your images. Our work is unhurried, but it is efficient and takes no more time than everyday things you already do. However full your life is, we can fit it in. If something truly unusual is occupying your time right now, send me an email anyway, right now while you’re thinking about it. I can always gently follow up with you in a few weeks when that peak has passed. I’m excited by this idea, but still have jitters about sending you an email - what do I do? If you feel drawn to this, it’s for a reason. Sending me an email begins a conversation, it’s not signing a contract. Let’s get acquainted and take it from there, shall we? "Please don't mention anything to them about our photographing in the gardens", I caution my model and client, Denise, before we enter Morikami Museum and Gardens. "Of course", she nods in agreement as we open the heavy doors. "We are just ordinary park visitors going for a stroll", I mumble to myself as we approach the cashier, an elderly gentleman named Joe.